The city of Birmingham is renowned for its variety of music genres its home grown talent produces ranging from classical music to Bhangra and the facilities these stars perform in. Birmingham is said to be the location of where that of heavy metal music arose. The city produced bands such as Black Sabbath, Judas Priest, Napalm and Godflesh. It’s also well known for its reggae music due to Birmingham being the hometown of band, UB40. Many have described the city as the best place in the country to find the most exciting music and with stars such as Duran Duran and The Streets having come from Birmingham, who can argue? A variety of entertainment, sport and music takes place within Birmingham’s arenas throughout the year. The most popular arena’s within Birmingham are: “The National Indoor Arena (NIA)”, “02 Academy”, “Birmingham Hippodrome” and “The CBSO Centre”. Recent stars to perform at these venues include: Alexandra Burke, Nicki Minaj and Madonna. Artists such as Black Sabbath, Queens Of The Stone Age and The Weeknd will also be performing in Birmingham on their upcoming tours. 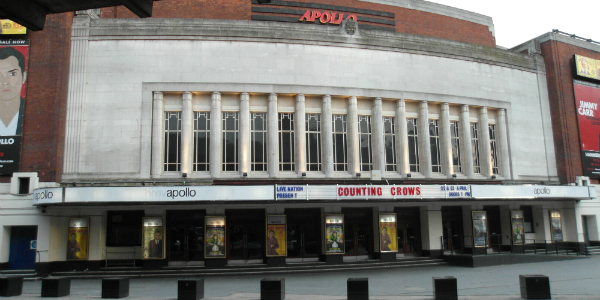 With a capacity of 15,643, it is of no surprise that this venue hosts some of the biggest concerts in Birmingham. Previously the LG Arena was named the NEC (National Exhibition Centre), however the centre underwent a £29million refurbishment resulting in the name being changed as well. Tom Jones had the honour of being the first to perform with the brand new facilities. Renowned as the 10th busiest arena in the world, this venue is also common to hosting a wide variety of comedians and not just music. However, many legends from the music industry have graced this stage including: Spice Girls, Queen, David Bowie and Status Quo. Chart topper Jessie J is expected to perform at this fantastic arena in 2013. In 2008 the former “Carling Academy” was renamed “02 Academy” after the owners of the UK 02 network became the sponsors of all Academy venues in a deal that will last five years. Despite it having 3 separate rooms, this venue allows all 3 rooms to be used at once giving the Academy a total capacity of 3,859. People have been known to fill out this venue to witness the likes of “The Streets” and “The Editors” all of whom have played at the 02 Academy. Having been officially opened by the Queen in 1991, it is of no surprise that this venue hosts over 270 events a year. Performances from a variety of music genres occur at this location including: jazz, rock, pop and classical concerts. A capacity of 2,262 allows fans to get closer to the artists whilst creating a friendly atmosphere to all those present. An artist that fans will have the opportunity to get close to in the upcoming months is Jack Johnson – who will be performing in the Symphony Hall, this year. Described as the busiest venue for dance outside of London, this theatre is certainly one to witness. Countless West End events have been staged at this venue and with a regular annual attendance exceeding 500,000 – these events must be quite an attraction considering there are only 1935 seats within the building. Upcoming shows in 2013 include Lion King, Snow White and Warhorse. The National Indoor Arena is the biggest venue in Birmingham and one of the busiest venues in Europe. Having opened in 1991 by Linford Christie, it has hosted over 30 different sport, entertainment and music events. It’s capacity is a maximum of 14,150 ensuring that the atmosphere will be electric at any event you should witness at this fantastic venue which is yet to become even better with improvements having gone underway during late last year. Events such as WWE shows, Trampoline World Championships and UFC have all been staged within this arena. Stars such as Justin Bieber, Olly Murs and Alicia Keys have also all performed at this arena – once again stressing the excellence of this venue.